Genesis II, Large diaphragm condenser tube microphone from MXL. 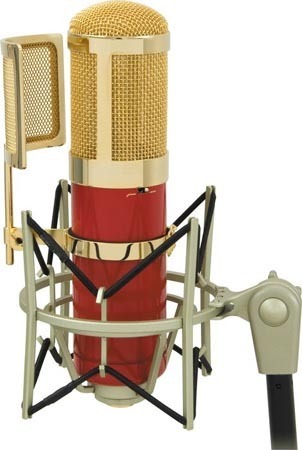 MXL Microphones has broadened its collection of studio recording microphones with the introduction of the Genesis II Dual Diaphragm Tube Microphone. Genesis II has the added feature of a dual diaphragm and switch which allows you to change the tonality of the mic to suit your application. The GENESIS II also includes the vintage, new old stock Mullard 12AT7 vacuum tube which is hand-selected and burned in for days prior to shipment. Besides the new dual capsule and switch, the Genesis II also includes a 100 Hz 6 dB octave roll-off switch for suppressing undesired structure-borne sound and -10 dB pad that enables the mic to handle high SPLs. Like the Genesis before it, MXL's Genesis II sports a candy apple red finish and 24K gold-plated grill. The package includes a power supply, shockmount, a gold metal mesh pop filter, an XLR Mogami Mic cable and a 7-pin Mogami cable. Each Genesis II mic is serialized and supplied with QC verification of excellence documentation. The Genesis II is available at a street price of $899.00. You can visit MXL at their NAMM booth #6866/Hall A. 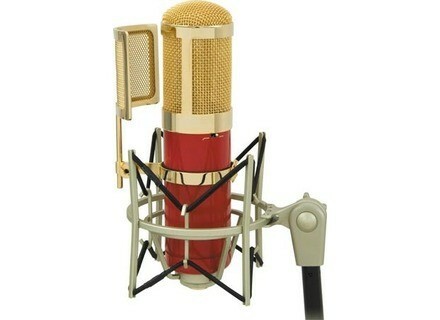 Visit www.mxlmics.com for more details. [NAMM] A-Designs EM-EQ2 A-Designs Audio announces the availability of a new two-channel rack-mounted version known as the EM-EQ2.